Today's Money Talk: What is Inter-bank Mobile Payment Service (IMPS) ? What is Inter-bank Mobile Payment Service (IMPS) ? Now you can send/receive money using mobile number and an additional 7 digit MMID number. The benefits are multiple-Only Mobile Banking customers can remit money under IMPS. However, all customers can receive funds in their accounts using this Service.If you wish to receive funds through IMPS, please register your mobile number with the Bank and get 7 digit MMID. For receiving remittance, you will share your mobile number and MMID with the person sending money (remitter). How to get MMID number? All our mobile banking customers are issued 7 digit MMID for the primary account registered. For obtaining MMID for other accounts, they may visit the Branch and apply for MMID by filling up a form. 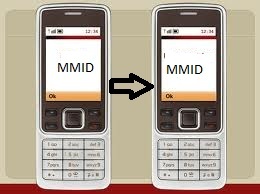 You can also generate MMID for all your accounts enable for Mobile Banking Service, through menu option- IMPS- Generate MMID. IMPS Merchant Payments (P2M - Person-to-merchant) service allows customers to make instant, 24*7, interbank payments to merchants or enterprises via mobile phone. IMPS enables mobile banking users a facility to make payment to merchants and enterprises, through various access channels such as Internet, mobile Internet, IVR, SMS, USSD.